Few breeds have as distinct and unique movement as does the Italian Greyhound. With this being the case, it is ironic that our standard uses so few words to describe how our Italian Greyhounds are to move. “Action: high stepping and free, front and hind legs to move forward in a straight line.” With these few words of direction we take off on a journey of interpretation, inference, comparison, and contrast in the hope of arriving at the picture of Italian Greyhound movement. For the purpose of this article I am focusing on the front half of I.G. locomotion and would refer you to my article at http://www.iggyezine.com/keneda0616.html for a discussion of drive and rears. In the context of Italian Greyhounds we need to first define what “high stepping” means. I have found the digitally published book, You Be the Judge: The Italian Greyhound, written and illustrated by Robert Cole to be very helpful in this regard. I have reversed the direction of the clock he used because most of the best movement photos we have are moving right to left but using the comparison, high stepping for an Italian Greyhound would be a step rising to a height between 8:00 and 9:00 on the clock face. This defines a range for high stepping that is above most other breeds but not passed parallel to the ground and into the range we would call “hackney.” In my own experience this range gives an adequate amount of room for many beautifully moving dogs and for breeders to hold a range of acceptable ideals to work toward along the spectrum. For instance, I think the 43 minute mark might be ideal while someone else prefers and strives after 41 minutes after the hour. Once we have established high stepping then we need to add free to the equation. I do this by aligning free with fluid and contrasting it with tight or marching. When I was, young and playing baseball, I had a coach who noticed that I would often tighten up when I approached home plate to bat. It helped free me up if he would say, “Loose as a goose.” This bit of advice allowed me to swing free and loose and this is what I imagine for our Italian Greyhounds. They are not to be uptight and choppy but free moving and light. 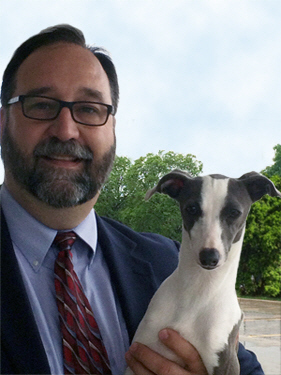 The Italian Greyhound is a free and agile mover but should still possess strength and power. I think there might even be a suggestion of temperament here but I will leave that for another day.